Great news! Our book, The Shepherd's Rug, is back in print and is available from our etsy store for those who use PayPal or from our book page order form for those using checks or money orders. Welcome to our farm! 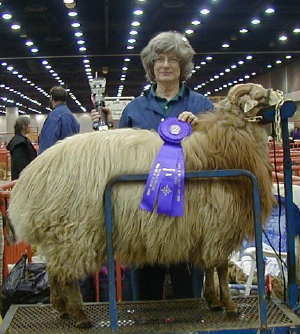 We started raising sheep in 1982, with an old ewe we were told was a Karakul. Now we sell quality purebred registered Karakul breeding stock, from some of the rarest bloodlines in the country. 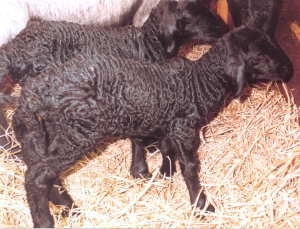 We also offer award winning fleeces, heirloom quality braided rugs, occasional freezer lambs, and tanned pelts. 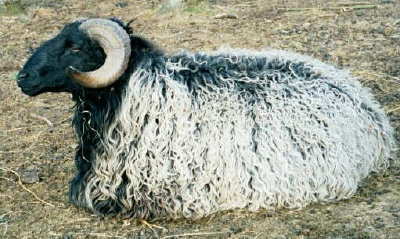 Karakul sheep are athletic, elegant, fascinating creatures, perhaps more goat-like than ordinary sheep. These fat-tailed sheep are a beautiful, stately, ancient breed with important historical significance. While considered a minor breed with rare status, they are extremely hardy, with strong survival instincts. Pine Lane Farm raises Karakul Sheep and nothing else. We moved here in 1979, built a barn, then cleared and fenced in several pastures. One of the best trout streams in Michigan, Spring Brook, runs through the western edge of our 40 acres. We are located just north of the city of Kalamazoo, on the edge of Richland Township, in the southwest corner of the state of Michigan. Announcing... a dream come true! We have written a book, The Shepherd's Rug - a braided wool rug from roving. Read all about it on the The Book page. To see our rugs in person, and maybe take a workshop, check our schedule for the festivals and shows we'll be at this year.